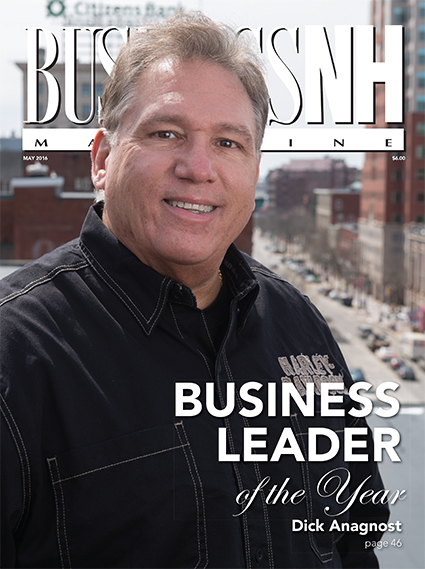 Businesses and Business Leader of the Year – We give the back story on the 2016 Business Leader of the Year and the nine companies that took top honors as Businesses of the Year. Escape Rooms Capture NH’s Attention – Escape rooms are a hot entertainment trend nationwide and now in NH. Preventing Cybercrime – We have expert tips for securing online business transactions. In NH We Trust – Find out why NH has become a magnet for trusts. 2016 Human Resources Guide – From tips for hiring the right employee to why you need to break up your HR department to how to prepare your workers for an active shooter, this guide helps HR execs sharpen their skills. Tech Report – NH communities get to beta test a marketing app.